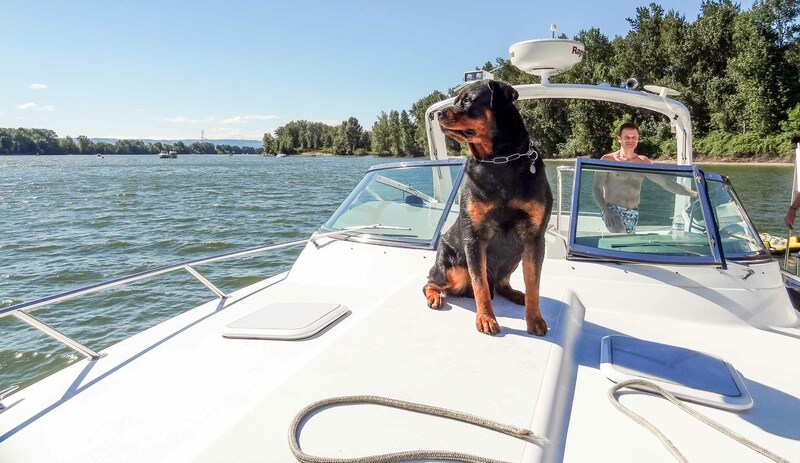 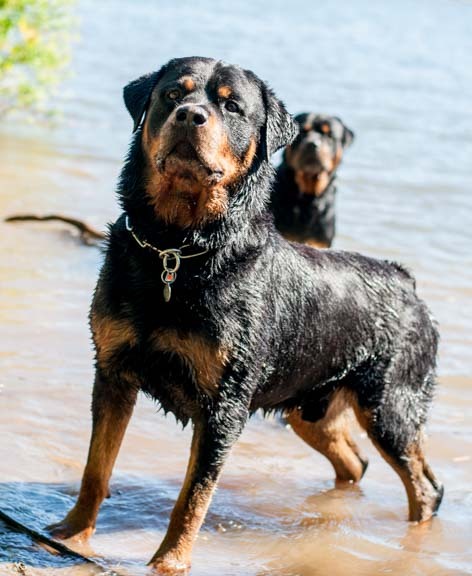 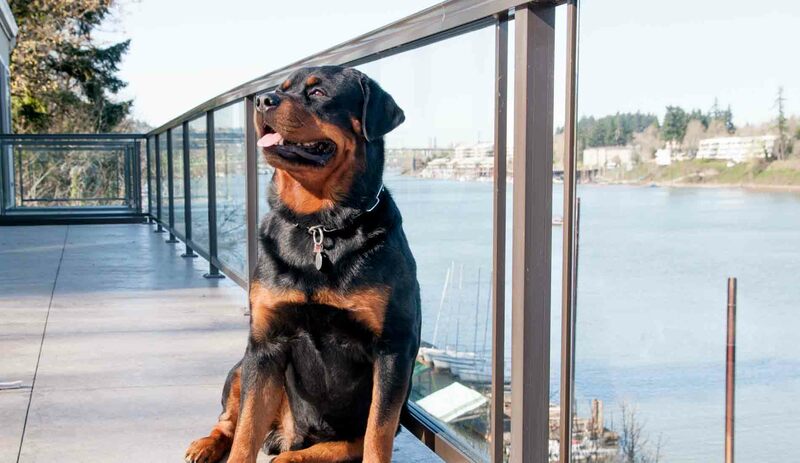 Helo is one of those rare and special dogs that truly are a complete package – epitomizing strength, harmonious balance, correct type, effortless movement, and a stellar attitude. 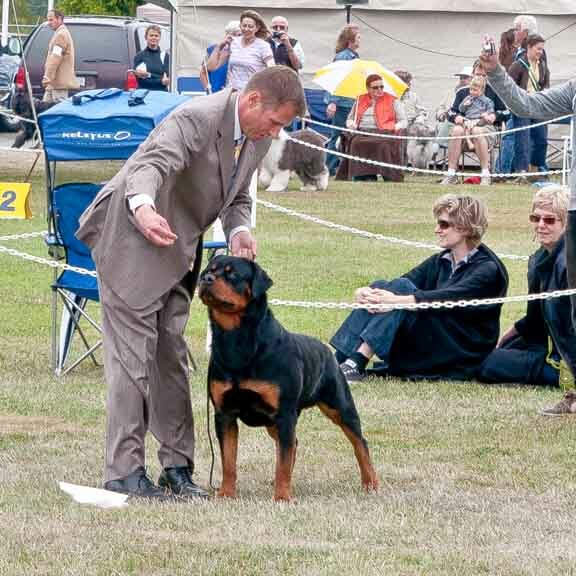 From a very early age, we knew that we had something special on our hands, both in the show ring and as a member of the family. 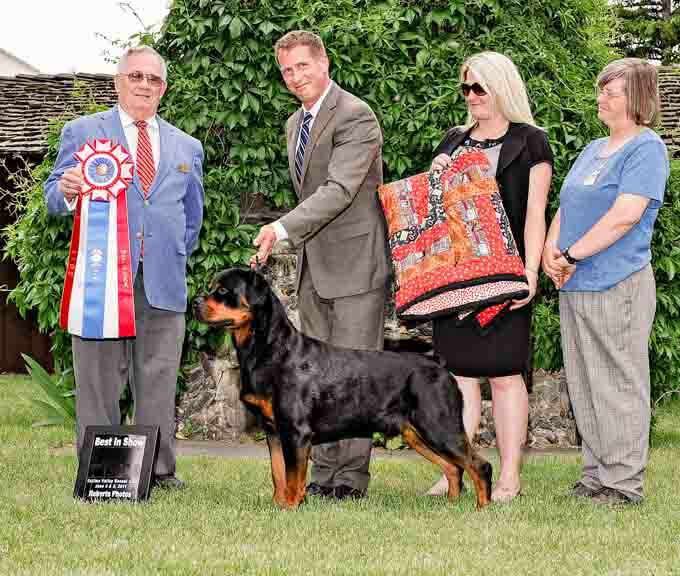 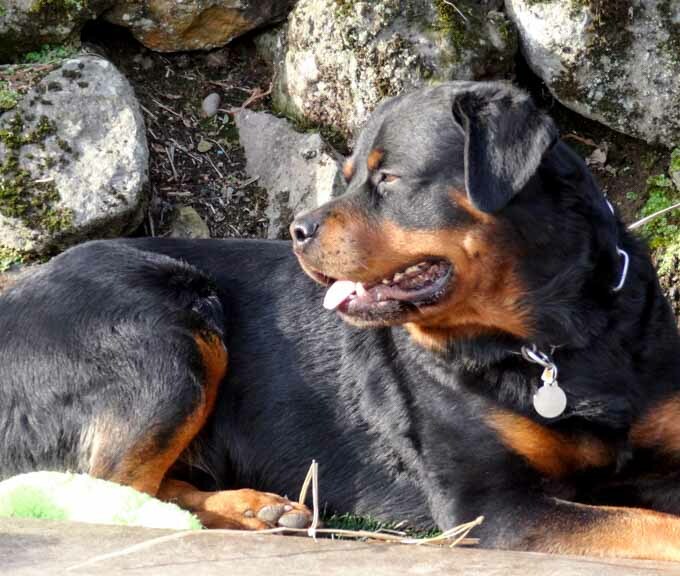 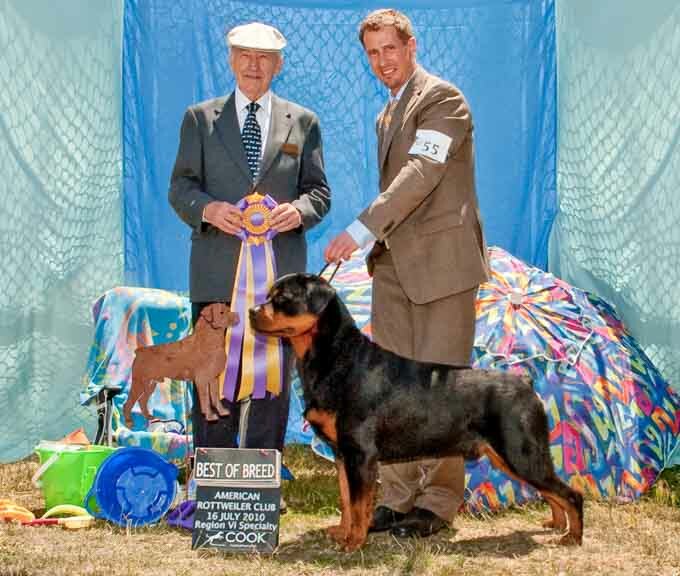 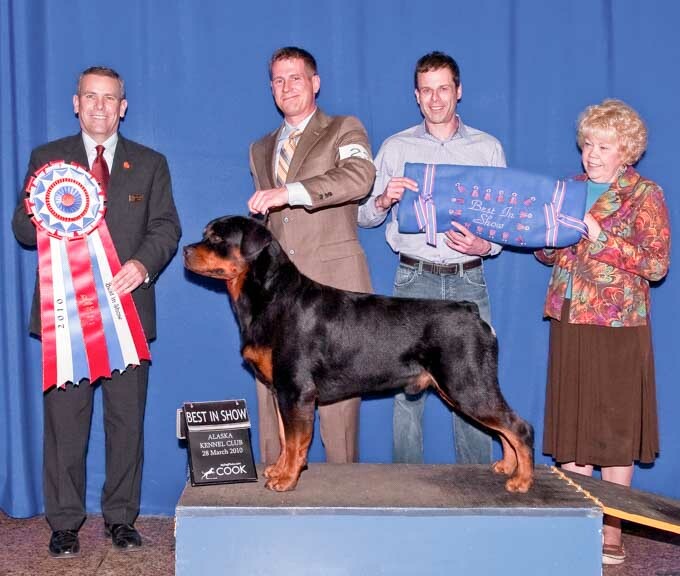 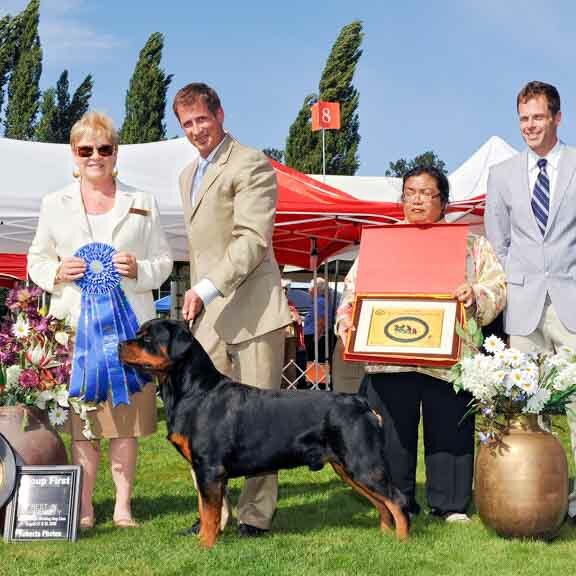 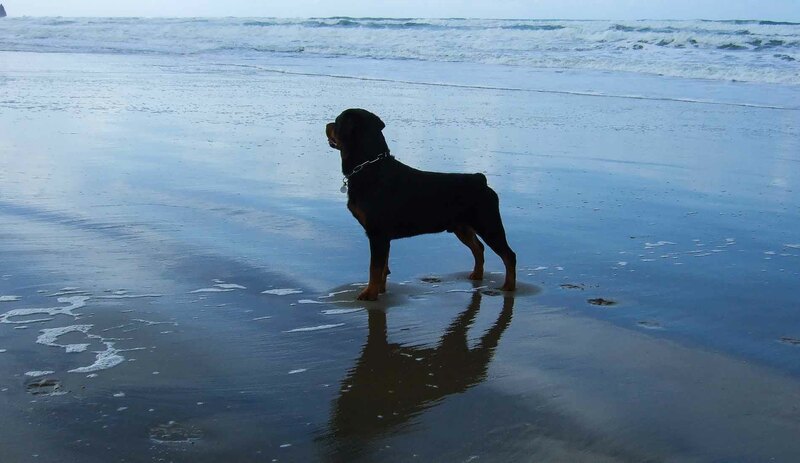 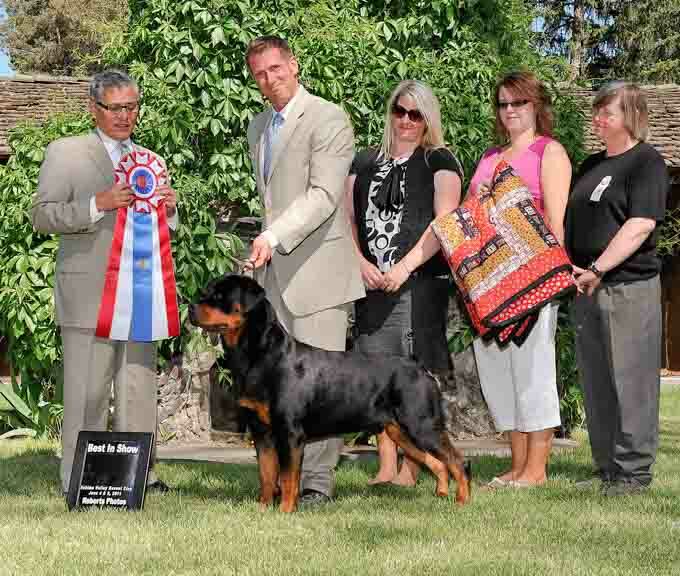 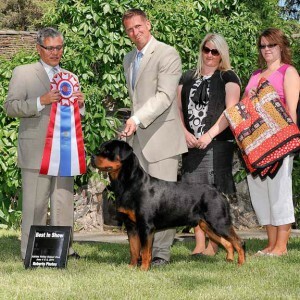 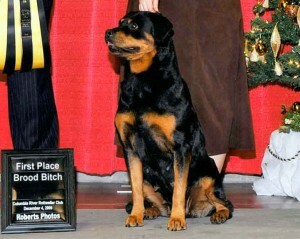 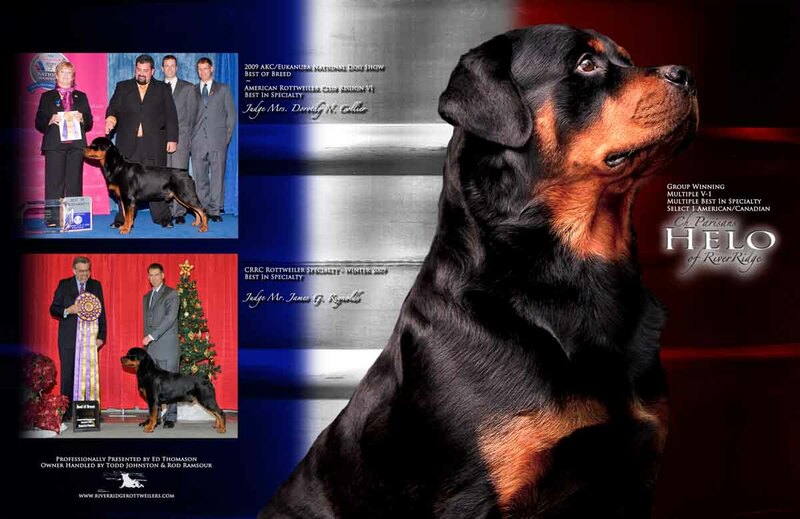 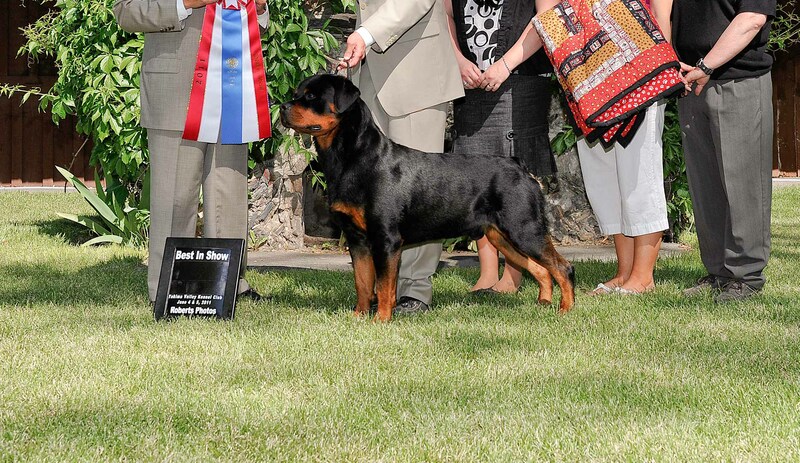 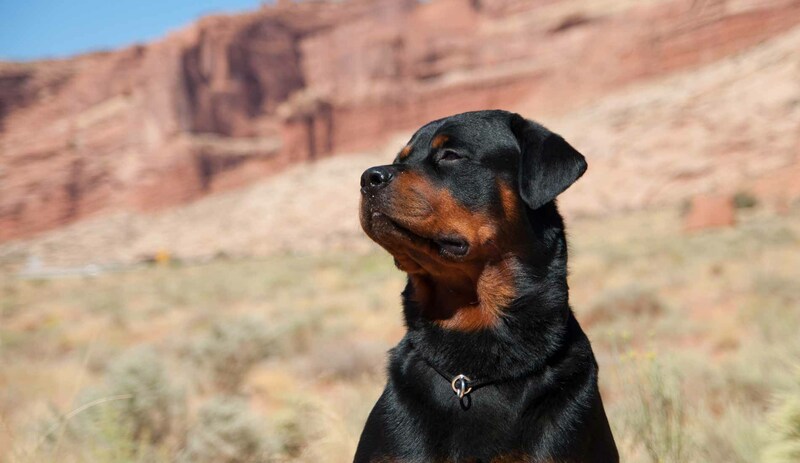 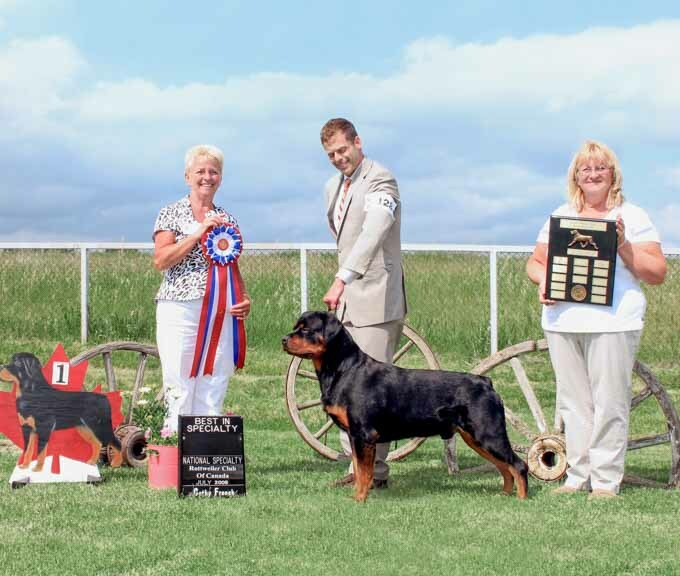 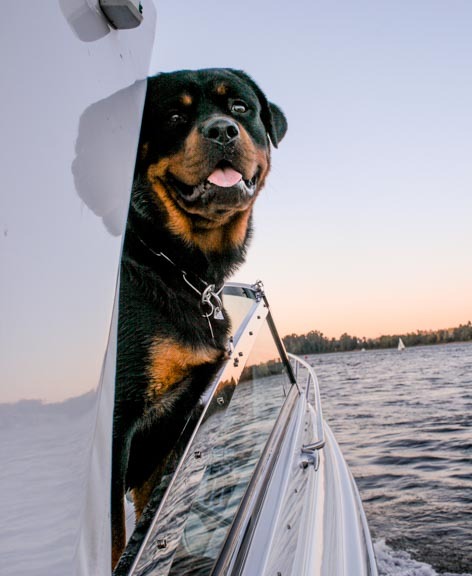 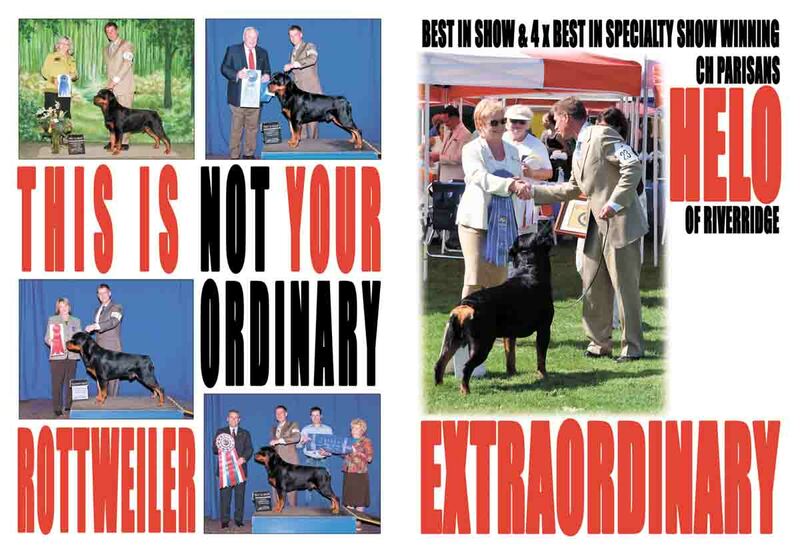 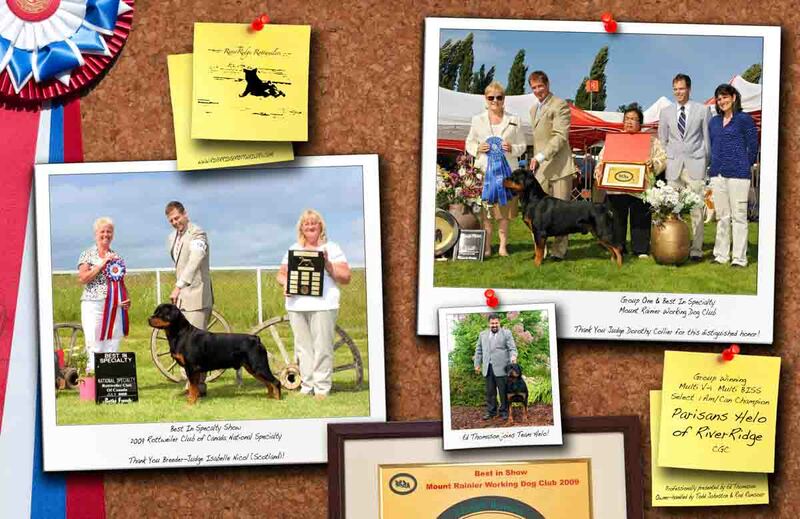 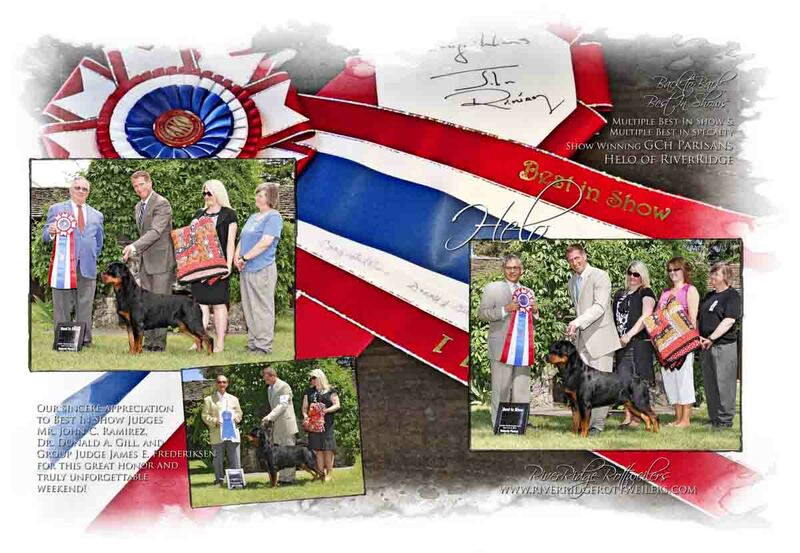 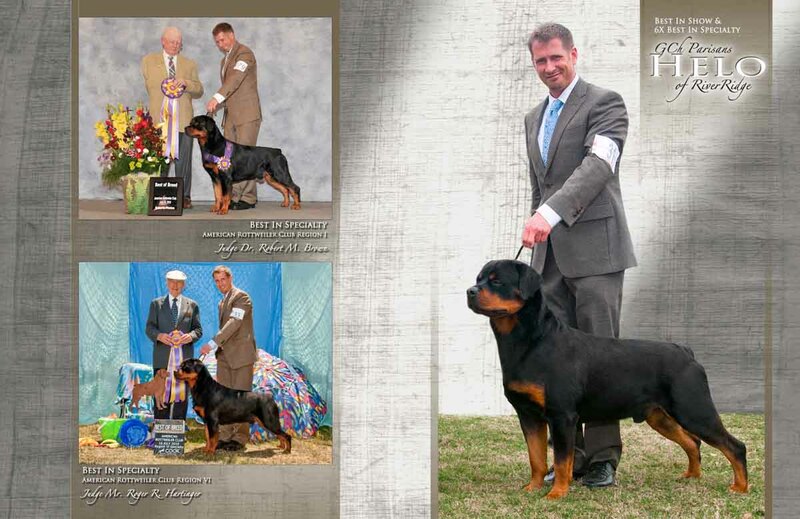 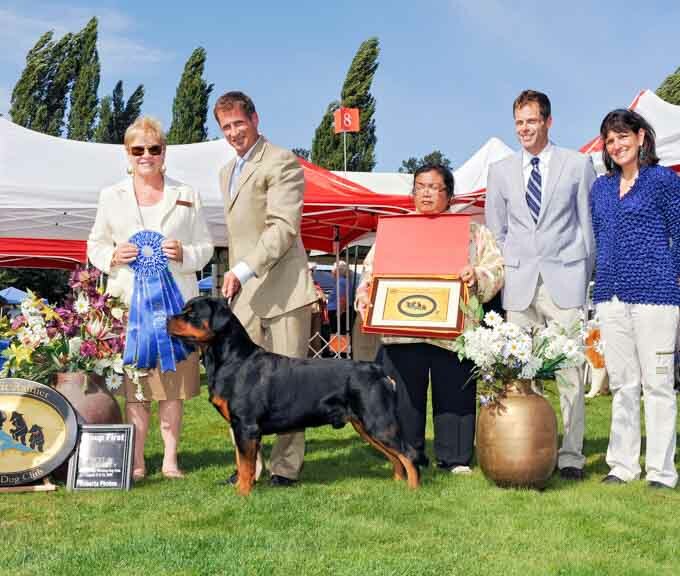 Exhibited in both the United States and Canada, Helo quickly finished both championships and won multiple Best Puppy in Show awards. 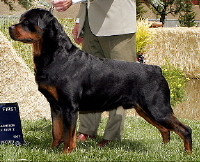 Helo was awarded his first AKC group win at the age of two, and as a young special has received an AKC all-breed Best in Show, the 2009 Eukanuba National Dog Show Best of Breed, and the 2009 RCC Best in National Specialty award. 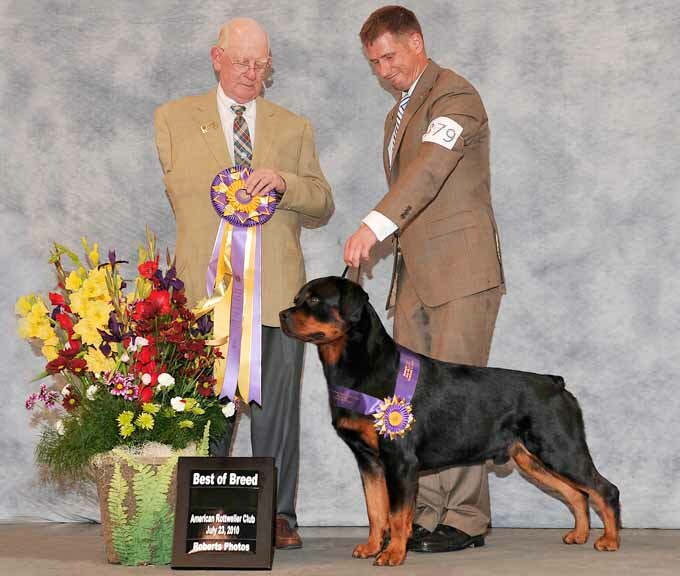 As as he matured, he was awarded two more AKC Bests and more than seven specialty best of breeds. 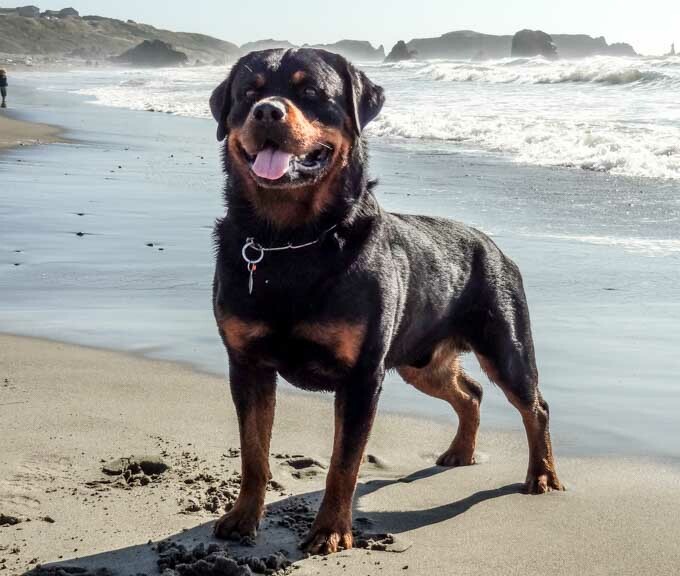 Yet for all of that, what really makes Helo such a joy is his infectious personality, keen intelligence, and most importantly of all, his fierce love & loyalty to his family and friends. 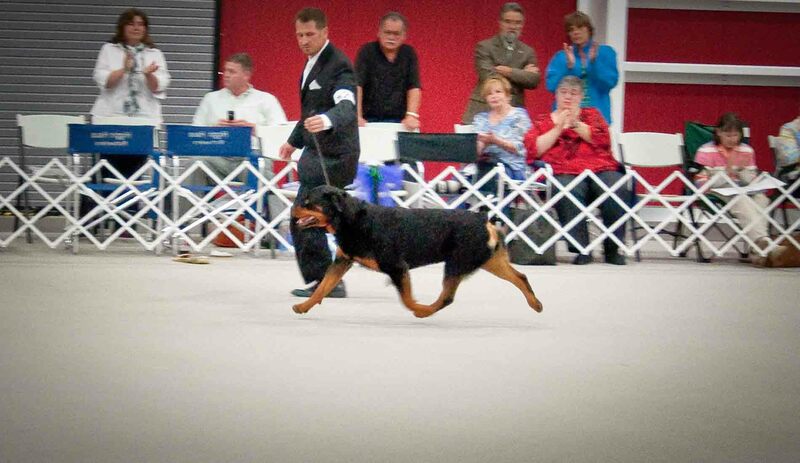 Helo is loved, trained, and shown by owner Todd Johnston. 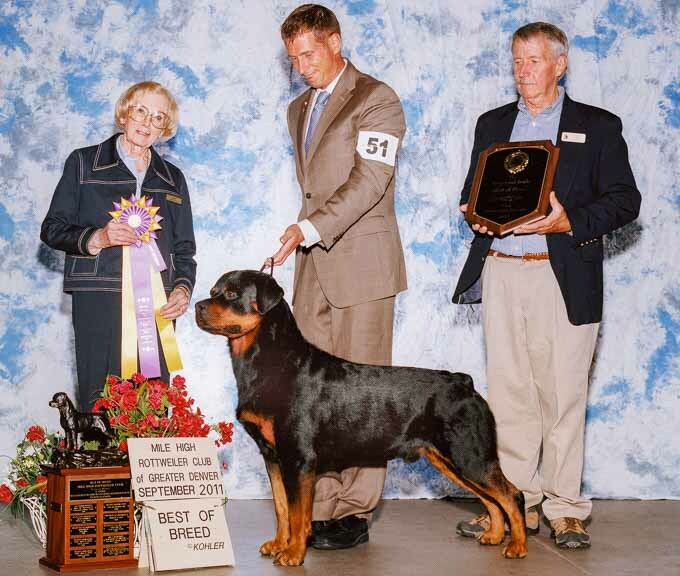 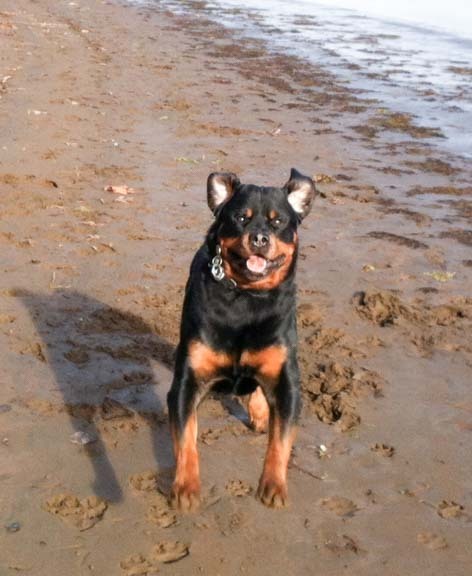 Helo enjoyed a well-earned retirement in 2012 and has cheered on his nephew Ray. 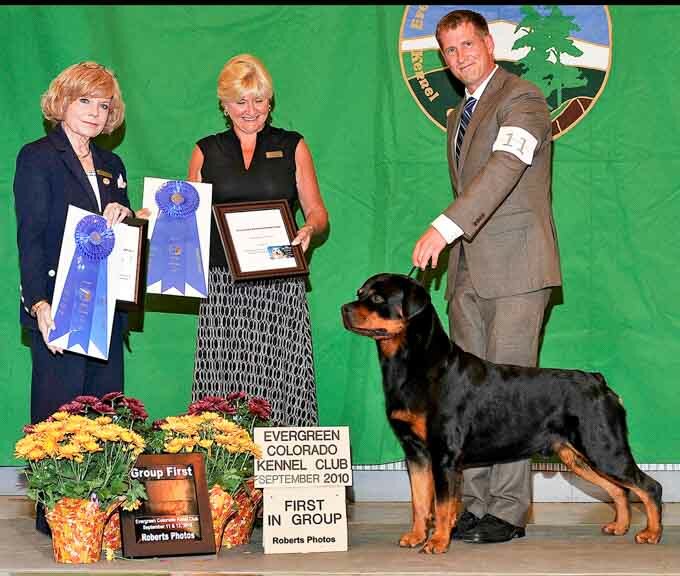 He made a mid-year trip to the 2012 ARC Nationals to show off in the Top 20 competition, and hitting the breed ring once more, he received an Award of Merit! 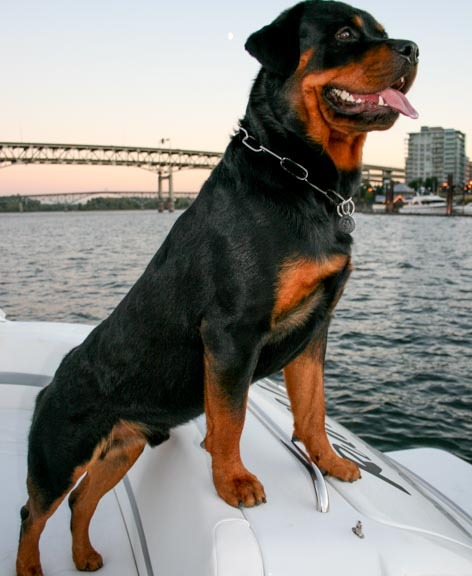 He has since returned to being Rod’s favorite lap dog! 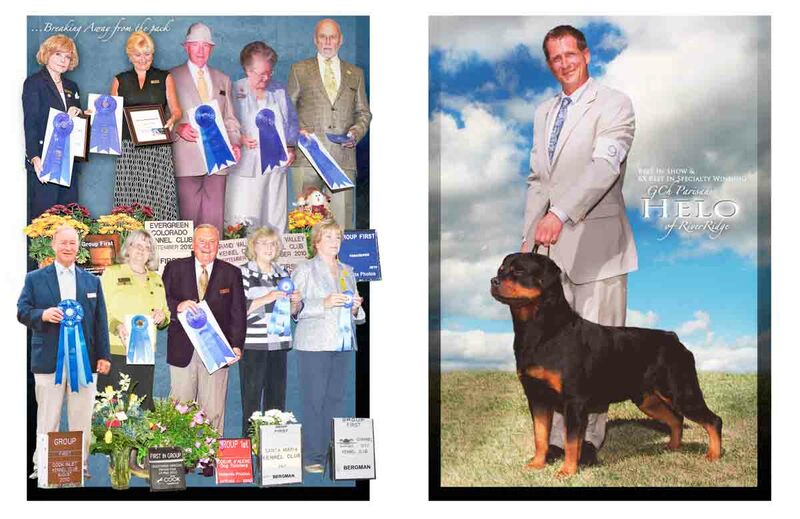 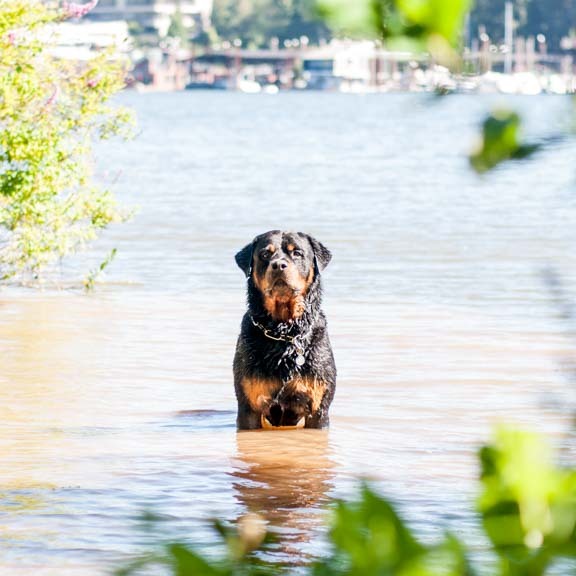 Helo’s first back-to-back Best in Show wins – for a total of 3 AKC BIS awards. 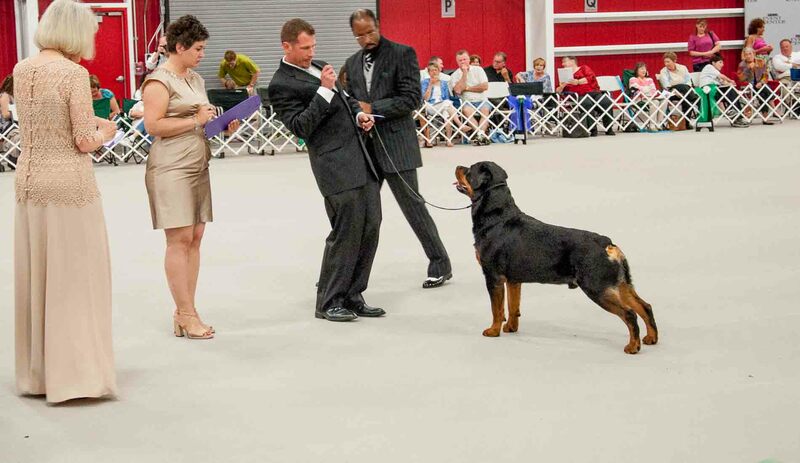 Two years in a row in the US top 5 – Congrats Helo! 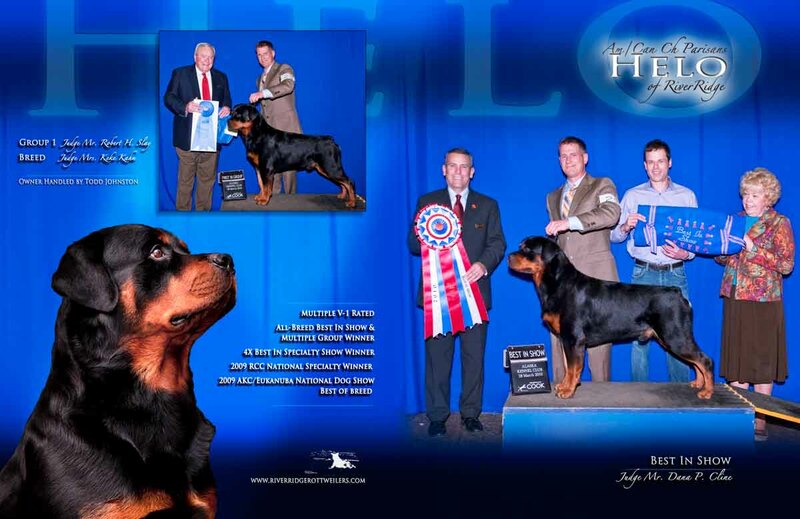 At two years of age, Helo eased into his career and hit the local shows in 2009 – which doesn’t mean he didn’t have some stellar highlights!